Disclosure: I received the Safari mini figurines at no cost in exchange for my honest opinion. All opinions expressed are my own. This post contains affiliate links. 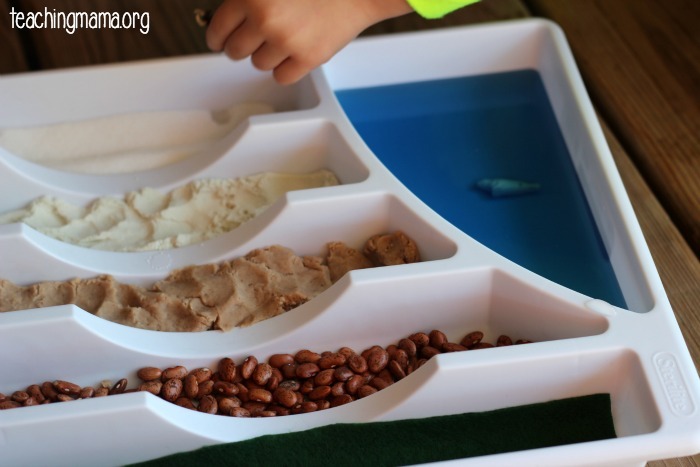 Last week I set up a fun sensory tray for my little ones to play with. 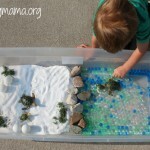 This activity was something new for them and they thoroughly enjoyed playing with it! 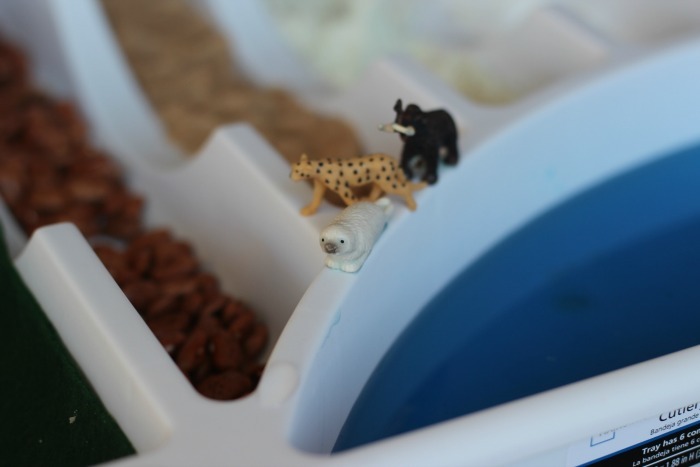 I added in a few Safari Ltd® mini animal figurines. Safari Ltd® sent me a few of their new animals to try out and we enjoyed playing with a cheetah, mammoth, and harp seal. These hand-painted mini animals are so pleasant to play with. They are small, but great for little hands to play with. They are recommended for children 5 and older, so use your best judgement when allowing your children to play with them. 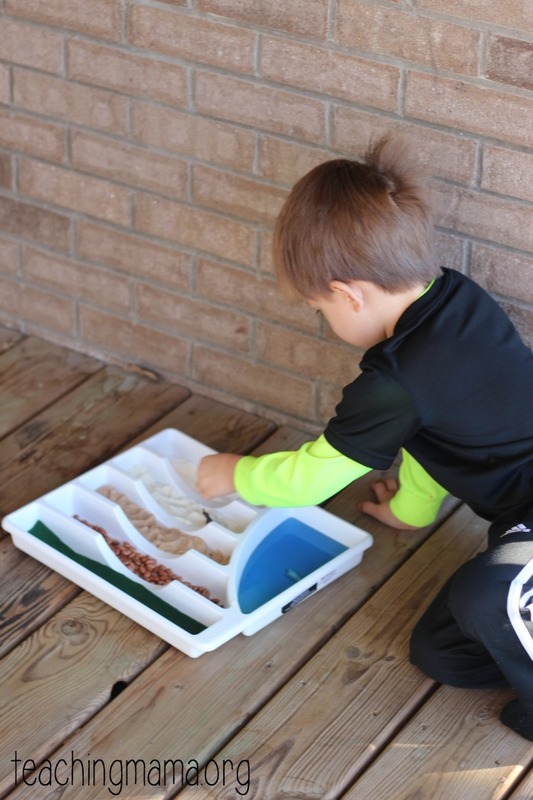 This tray was a hit! 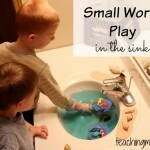 They spent time using their imaginations with this small world play activity. 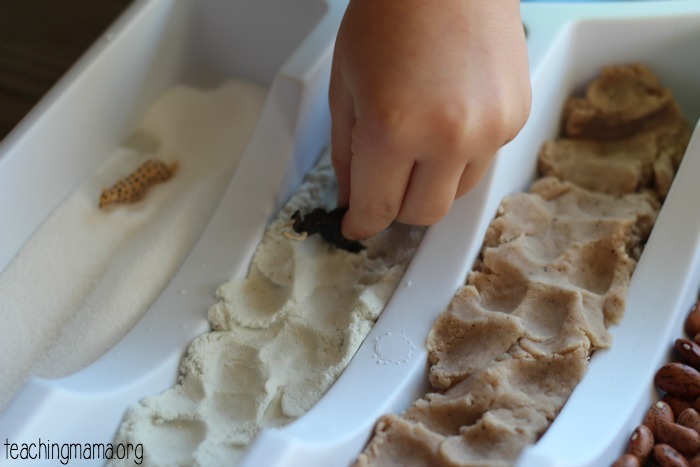 It was fun to make footprints with the animals in the sand and play dough. 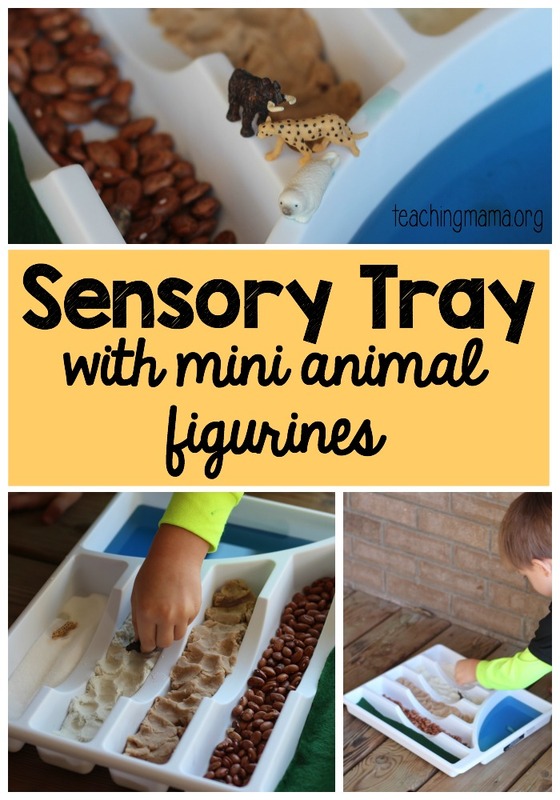 I kept our sensory tray on our art table and the kids have gotten it out to play with it several times this week already. My kids loved that there were different thing inside each tray. 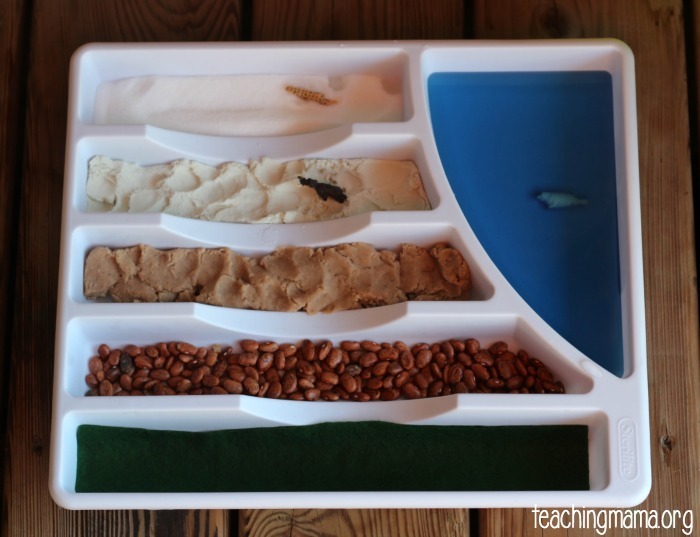 They imagined that the sugar and sand were the desert, the playdough was mud, the beans were rocks, the felt was grass, and the water was the ocean. 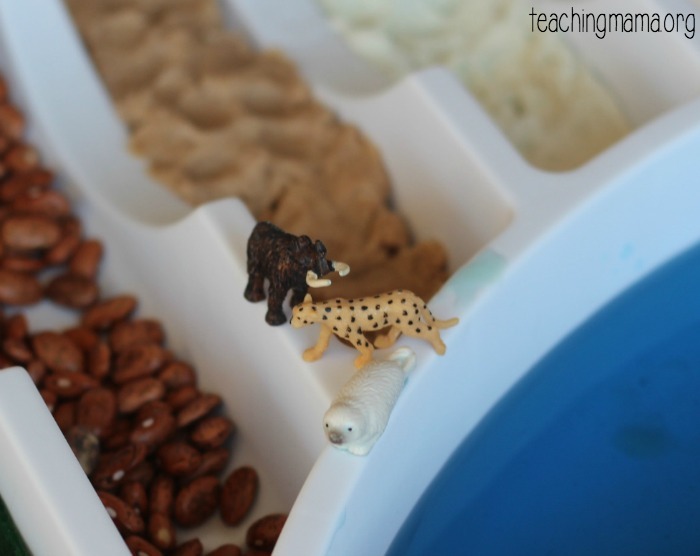 We also spent time talking about where each of the animal figurines would live in our sensory tray. We loved playing with these Safari Ltd® minis. 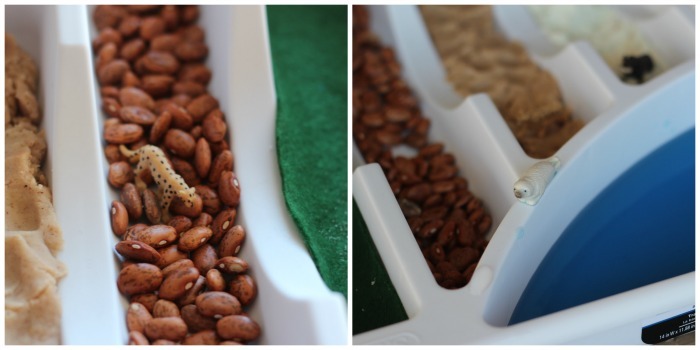 They are such a great addition to sensory bins or trays. The Good Luck Minis® collection has over 100 different styles and they are all hand painted, despite being approximately the size of a nickel. They just released some new products for 2016 and they are also available on Amazon. If you want to read more about them, check them out on the Safari Ltd® blog! We are big fans of Safari Ltd®! Check out the following posts to see how we’ve played with these figurines. 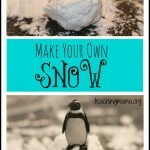 They do something really similar to this at my son’s preschool. 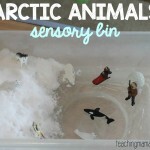 They are all about engaging in the different senses. 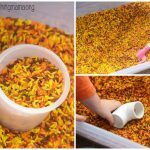 Many times I’m hesitant to do sensory activities because they can be messy. But a tray seems like the way to go. Hello, I’m from Brazil and I really adhere to your site, and especially when you write articles talking about animals, I love animals. Very good your article, congratulations.